Snohomish (sno-HOH'- mish) County is situated in northwest Washington State, resting between the blue waters of the Puget Sound and the majestic, snow-caps of the Cascade Mountains. 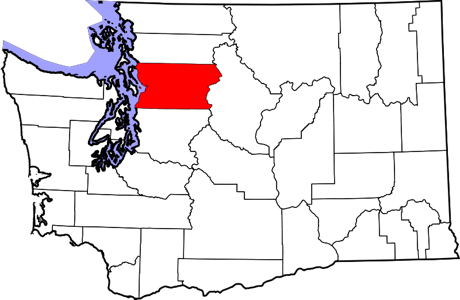 Snohomish County begins only 12 miles north of Seattle. Making Snohomish County real estate close enough to the Seattle metro area for commuting and far enough away to have a home with some yard, or a lot of yard. Snohomish County is about 100 miles south of Vancouver. A short trip from the San Juan Islands or Olympic Peninsula. Living in Snohomish County means you're in a perfect location for investigating the entire Pacific Northwest. Snohomish County was given its name by the surrounding Native Tribes, and according to local lore, Snohomish means “low lying people” and is named after the Snohomish Tribe. The meaning of Snohomish County has been has been contested though it is not hard to believe as the western half of the county is at or near sea level. Snohomish County real estate is classified as 68% forest, 18% rural, 9% urban/city and 5% agricultural, keeping the area very beautiful and non industrial. There are many parks and lakes in Snohomish County to be found for recreational fun. With fun events and activities not far from your Snohomish County home, there will always be something to do if you want to get out the house. Q :: I'm interested in seeing and potentially buying a home in Snohomish County, now what? A :: It's time to talk to a Snohomish County real estate agent about the properties you're most interested in. Persinger Group has Real Estate Specialists that are focused on only the Snohomish County area. Contact us and you will be connected to one of these real estate agents to help you with your Snohomish County home search, making an offer and the entire buying process. Question for you: Would you like to talk with a Persinger Group Realtor™. Q :: Are there more homes for sale in Snohomish County than shown on this page? A :: Yes. We segment the homes for sale into cities, neighborhoods, communities and developments based on info we're provided about the listing's location, address, parcel and other details when Realtors entire the information into the NWMLS. You could use the Advanced Home Search to find if other properties in the area. And search by city, or even neighborhood. You could use the home search at the top of this page to search Snohomish County Real Estate and filter through the results. Or, the best way, easiest way and surest way to make sure you are finding homes for sale in the Snohomish County area is to contact us directly and we can watch for property updates. Q :: Where does Persinger Group get information about Snohomish County real estate? A :: Information about cities in Snohomish county, neighborhoods. condo complexes and Snohomish County real estate comes from a variety of sources including public data, our staff and from contributions from Persinger Group users, and clients, like you. Information about listings is provided courtesy of the NWMLS but is not compiled by the NWMLS. Q :: I'm a Snohomish County Homeowner thinking about selling my Snohomish County home. Can you tell me what you think my home might be worth and what you do to market and sell homes? A :: YUP!!! You can get started with some resources about selling your home by clicking here, or start by getting an instant home value by clicking here.